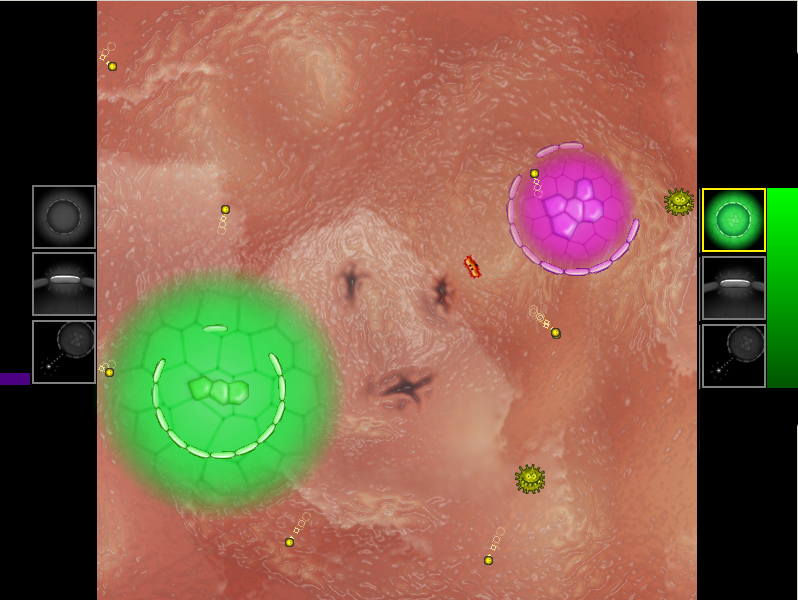 • Enjoy the challange, and the mind blowing 2D graphics! 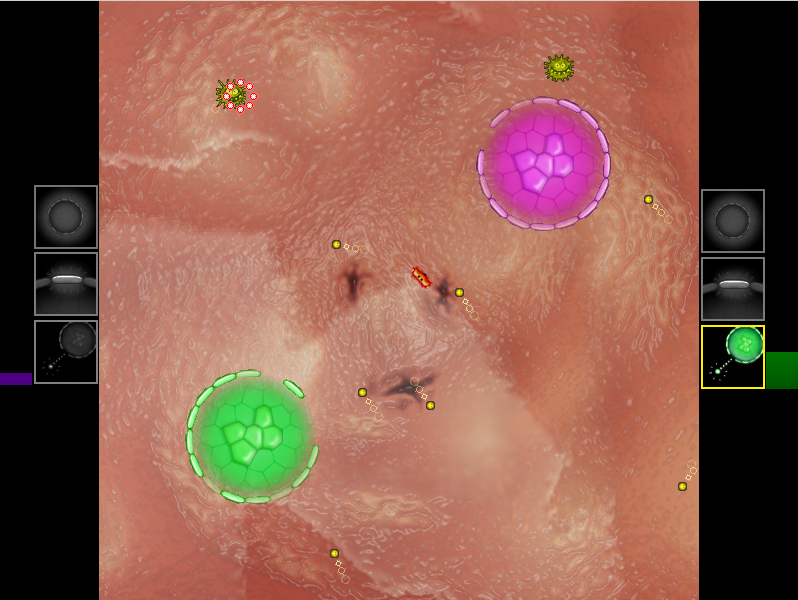 This project was an entry to the Global Game Jam 2011 event. Me and the other designer worked out a unique gameplay and finished the game just in time. 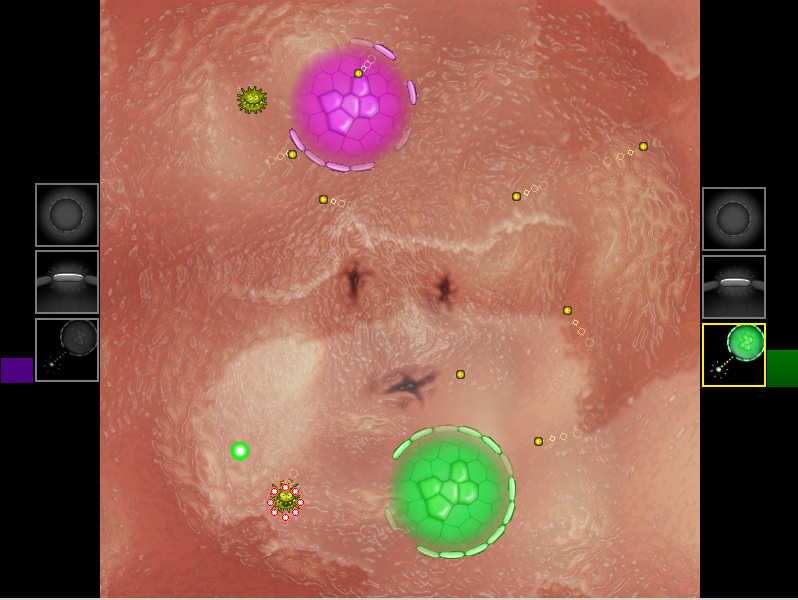 The Idea is to defeat the other player by rotating your shields (protecting your cells) so that the opening lets in the yellow dots. once inside, bouncing, they repair your shields and you can eat them. By eating them you add to your ability-meter. there are three different abilities. 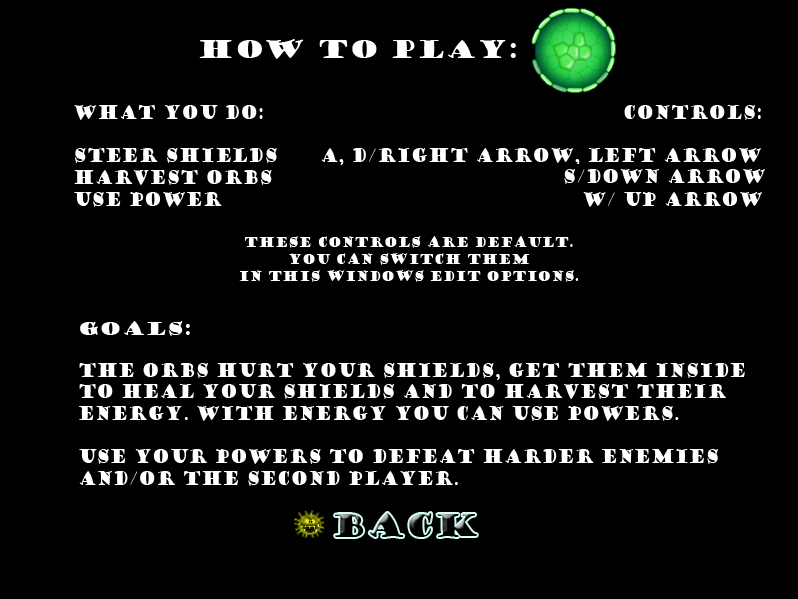 Use them to stay alive, or to defeat the other player. Game designer, 2D artist, QA-tester.